Facebook announced a series of new free tools to business pages which to encourage business owners to become advertisers. The new features are designed to make business pages more user friendly on mobile devices and include bigger and more prominent call-to-action buttons that encourage consumers to book an appointment or browse an online shop, new ways to showcase the products businesses sell and the services they offer at the top of their page, and new tabs on mobile devices so people can more quickly find information. Facebook is also introducing advanced messaging for businesses to connect with customers. 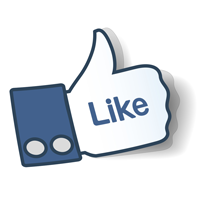 For example, if someone posts a comment on a Facebook page, business owners can reply with a private message. Businesses that respond to 90% of messages within an average of five minutes will earn a green badge. Analysts say the pages run by these businesses are a steady source of new advertisers for the company. Facebook has 2 million advertisers in all, so persuading even a small percentage of small businesses to start buying ads could significantly boost Facebook’s bottom line. Greg Sterling, vice president of strategy for Local Search Association says The “vast majority” of small businesses “have not done any advertising on Facebook, or they have not done it on a sustained basis… So this is an enormous project undertaken by Facebook to migrate those people into ads from an organic strategy,” he said. Facebook’s director of global partnerships, Benji Shomair said the aim of the new tools is to help businesses interact efficiently with potential customers and to encourage tighter communication between consumers and businesses.